It seems that UK retailers are starting to fill in their stocks with crates of the new Galaxy Camera and Galaxy S3 Mini. This last device is available on the UK market at a price of £300 unlocked, in black and white. If you device to subscribe to a 2 year contract you’ll only have to pay £20.5 per month and you get the Mini S3 FREE. The Galaxy Mini isn’t such a top class device, it is rather middle class and it doesn’t impress at all, especially compared to its bigger brother the Galaxy S3. Galaxy Camera is being launched this November and knowing that it has no GSM support, it is going to be an interesting device to watch its evolution on the market. You get, however an amazingly intense camera experience with Android 4.1 features all over the way. 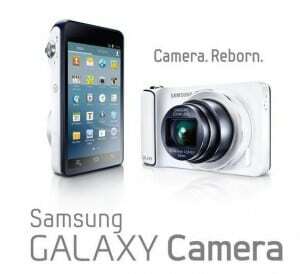 You should be able to purchase a new Galaxy Camera at a price of £400 from Clove UK. You will also be able to get it from ither retailers but at a later time, because until now, Clove is the only one to offer it.